I vowed not to fall into the Hunger Games trilogy trap...and failed. My apprehension to read came from the comparisons to the vapid Twilight franchise. I remember reading the first Twilight book and within 50 pages I was yawning. Why is this girl just staring at some guy and walking around the forest? I shut the book and never went back. I'll admit that I did watch the movies, and while some were entertaining I couldn't help but grit my teeth at Bella Swan. Blame my media studies degree, (hey, it has to be useful for something) but the representation of Bella as a helpless girl who can't walk without tripping and lets some supernatural boy take over her entire life is ridiculous. Don't even get me started on demon babies and imprinting. The worst part is that I know young girls just salivate over this intense representation of "true love" and I want to hit someone. Perhaps Edward? 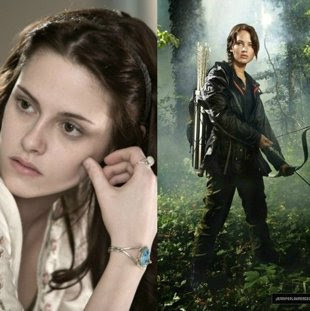 You could imagine my surprise when Katniss Everdeen from The Hunger Games shows up and is pretty much the anti-Bella. Heck, she would probably even destroy beefed up Jacob (Team Jacob, always) with one glance. This girl was not waiting to be rescued from anyone. Note: I read this book in 5 days. When it comes to beauty, we want what we can’t have. As a little girl, I wanted the hair of a princess. I desired the kind of mane that would reflect shine on the cloudiest of days and hang down my back like a silk scarf. I noticed early on that the prince didn’t fall in love with the girl with frizzy hair. She was usually the stepsister or the funny friend in the romantic comedy. Even our duchess Kate has the most enviable blowout this side of the castle. 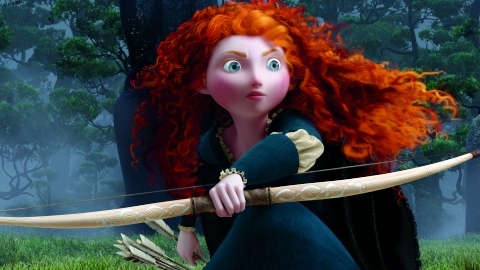 Recently, while reveling in my not-so-secret hobby of watching movie trailers, I came across an animated movie called Brave. That is when I saw her. This bow-and-arrow-wielding young heroine had the largest, brightest, uncontrollably curly mane I had ever seen. This big-haired girl wasn’t in the background and she wasn’t the “funny friend,” she was the one who got to take the journey. She was the one who got to be in the spotlight. Whether young or old, we shouldn’t have to look to big screens to validate our beauty, but I do believe one thing: if young girls can see the different representations of beauty, strength and power from a young age, the idea of what is beautiful begins shape their own perceptions. 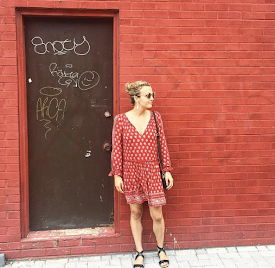 That little girl will turn to her mom and say, “Hey Ma, look, she’s just like me!” Perhaps the more we see, the more we’ll grow up wanting exactly what we always had. The Hunger Games is amazing! I love how it is a mix of gore and romance. I cannot wait to see the movie! Such an interesting post love to read it. I adored that film. I was suprised by my reaction to it. It even made me cry! Jennifer Lawrence is also wonderfully gorgeous. this comment i have used to illustrate how you can get free gems and coins of brave frontier game.click to grab them now from the store.